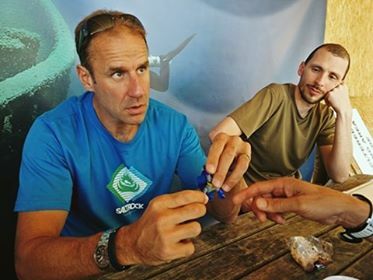 Looking for RAID Freediver Courses in the UK? 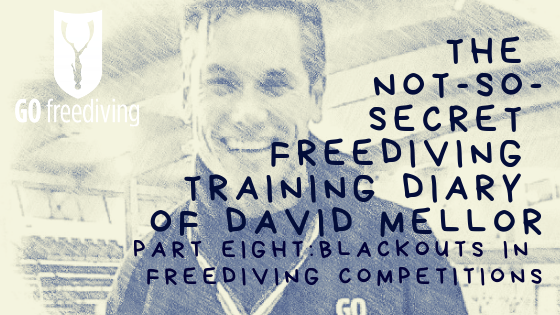 Go Freediving is the most experienced, friendly, safest freediving course provider in the UK. 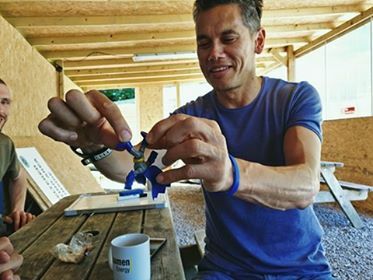 We’ve been teaching people how to freedive in the UK and abroad since 2003 and have introduced thousands of people to the exhilarating world of freediving. Check out the latest movie from our Latest RAID Freediver course on 17th – 18th June 2017 and see for yourself what you get up to when you learn to freedive in the UK with us! Why Enroll on RAID Freediver Courses in the UK? 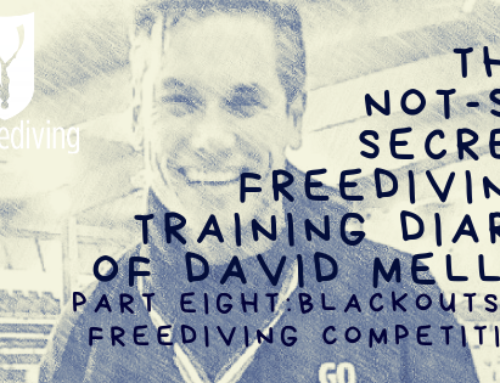 Go Freediving’s RAID Freediver Courses in the UK have the benefits of exceptional levels of experience and expertise. Our team of instructors are second to none and have all been personally trained by Instructor Trainer Emma Farrell, to guarantee you’ll be learning from the best. 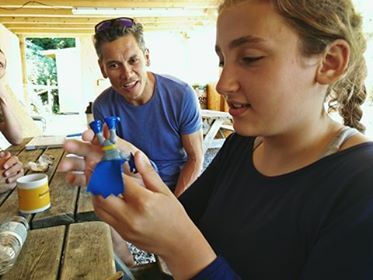 We freedive in the UK generally between the spring and early autumn and our freediving courses run from the end of May to mid Oct. We have courses, club meets and events running weekly throughout the season and also run courses on our freediving holidays abroad all year round. When you enroll on one of our RAID Freediver Courses in the UK, your course starts from the moment you register and receive our tailored online learning package and course materials. At your own pace you will learn freediving theory so you feel prepared on the morning of your freediving course. 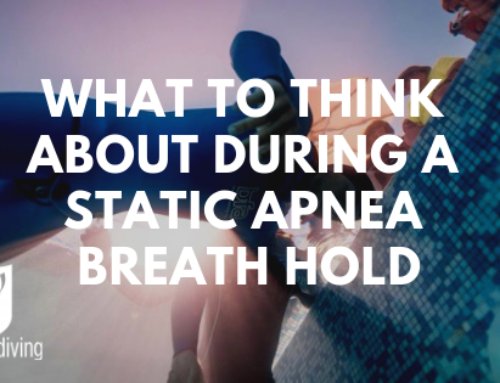 The course starts in the classroom where you learn about breathing for freediving and the equipment you’ll be using. You then move to the pool to put what you’ve learnt into practice and try long fins for the first time. No other location in the UK is as perfect and consistent when you learn to freedive in the UK as Vobster is. 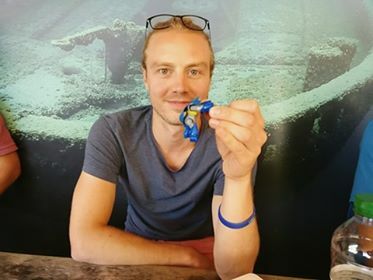 Freediving courses in July take advantage of some of the best underwater visibility conditions of the season – loads of fish, mussels and plants, warm water (up to 23 degrees on the surface in the summer), and masses of underwater attractions to freedive. 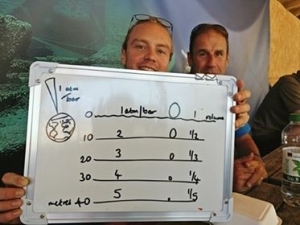 You can dive to a truck at 5 metres, boats submerged at 6 metres, planes at 10, and structures, caravans, more boats and much more to be found deeper. And best of all, there are no currents, waves or tides to worry about! 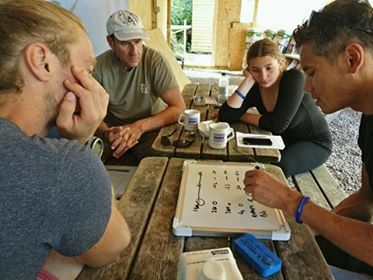 Even though with RAID Freediver Courses in the UK you are doing the theory online in advance of the course, we still have informal knowledge sessions throughout the course weekend with our experienced instructors who can explain techniques and concepts in a very hands on way. 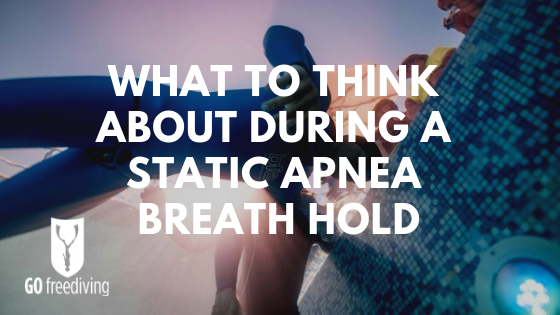 Read what this weekend’s students thought of their RAID freediver course with us! 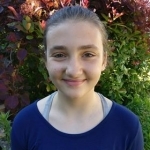 I have always loved diving and exploring life and I was doing a swimming a lesson once and saw people doing scuba diving lessons. And then I thought I don’t want to dive with a whole lot of equipment and then I thought about freediving. I watched a few videos and it really, really gripped me. I have discovered that if I have the right confidence I am capable of doing what I believe in. I loved the monofin because it’s a lot easier and I like the way it makes you move. The instructors were absolutely amazing. They didn’t let me give up – especially David. I would never have been able to dive the way I have dived without the instructors. Vobster Quay is amazing and I really want to come more often. There is so much I enjoyed! There was a lot of theory, but if you hadn’t done that first I think you would be hopeless on the course. 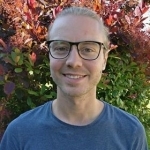 I would recommend this course because it has really helped me a lot. I really, really progressed and even though it is only two days, it has been really good fun and I really got along with everyone. 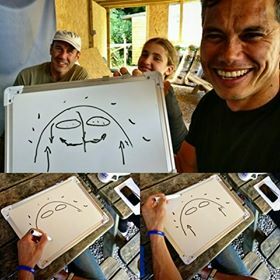 Thank you so much for the freediving course. This has been one of the best experiences of my life (13 years). You have showed me that with the right motivation, I can exceed my expectations and grow in confidence. You two have now made freediving my obsession and, perhaps, daily hobby. Thank you both! I like snorkelling and freediving, but got stuck at a certain level and realised I was doing everything wrong when I took this course. So it was really worth taking this course which was greatly instructed. Initially I thought it would be nice to be doing it somewhere warmer, but actually the weather here in summer is beautiful. I discovered a lot about my body – like you have the ability to go a lot further. I liked the atmosphere during the course. There was no stress. It was very relaxed. Nice people. A small group. I was very happy with it. 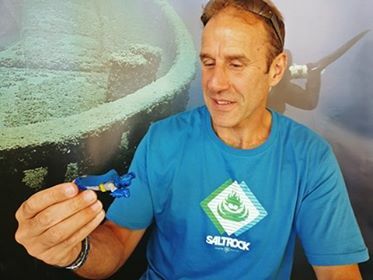 I would recommend these RAID Freediver Courses in the UK because you are very experienced, you react very well to the students. It was very comfortable. I like snorkelling but I started to realise I was probably doing it wrong because I wanted to go deeper but it was hurting. 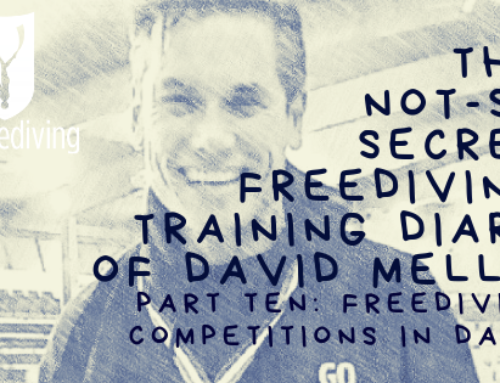 On holiday in Egypt there was a freediving course at the hotel I was staying at –which I didn’t realise at the time so I came home, saw the freediving video Freefall and that was it. I had to book onto a freediving course. I chose Go Freediving as it was the highest rated and I researched Vobster Quay and it it had very clear water. 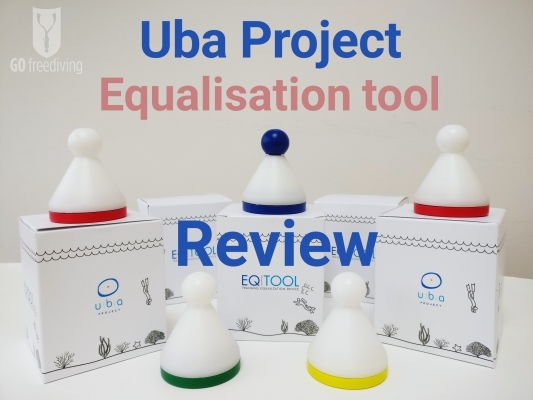 On the course I discovered I was doing it wrong – dangerously wrong, but was probably never in real danger of really hurting myself – I would have been hurt by bad equalisation. It’s opened my eyes a lot and gone way beyond my expectations. The instruction is very relaxed. The course flowed perfectly. I learned more and more as I went along, and I was very comfortable on the course. I cannot see how any other course could be better than this, your experience is vast. I will be recommending you to anyone interested in freediving. My message to anyone thinking of learning to freedive is don’t leave it as late as I did! If you’re possibly thinking of freediving then get in touch with Emma and the team. Experienced, professional but most importantly, relaxed. When you look up from 12m under whilst driving the upside down truck and are completely chilled about it, you know you’ve been taught by the best! I knew I wanted to get to 20 metres, I thought that was a prerequisite of the course. Everything at the bottom was great! It was absolutely perfect. 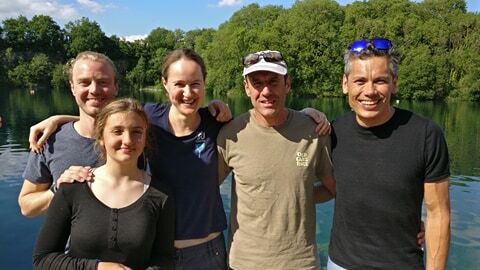 Go Freediving is the longest established, most experienced and friendliest freediving school offering RAID Freediver Courses in the UK, led by world class freediving instructor trainer Emma Farrell, and her team of personally trained instructors. 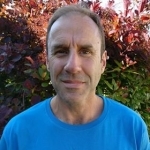 No other course provider has such a good instructor to student ratio, safety record and personal touch.